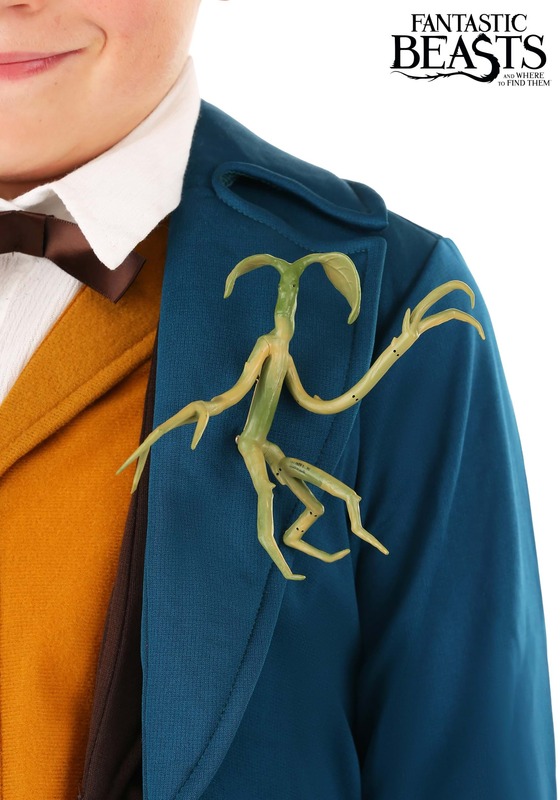 We may not look as stately as Newt Scamander in a turquoise peacoat and you'll never find a Niffler peeking out of our suitcase, but this officially licensed Bowtruckle pin allows us to mimic the stylish Magizoologist's fashion sense in the most subtle way. The green Bowtruckle figure has poseable appendages so wearers can position his twig-like limbs to give the creature a different appearance whenever it's worn. An attached pin on the back fastens the figure to all types of fabrics. It measures approximately 4.5 inches tall and looks particularly cute hanging from a jacket pocket. Add this pin to any winter coat or to a Newt Scamander costume for a personalized touch.